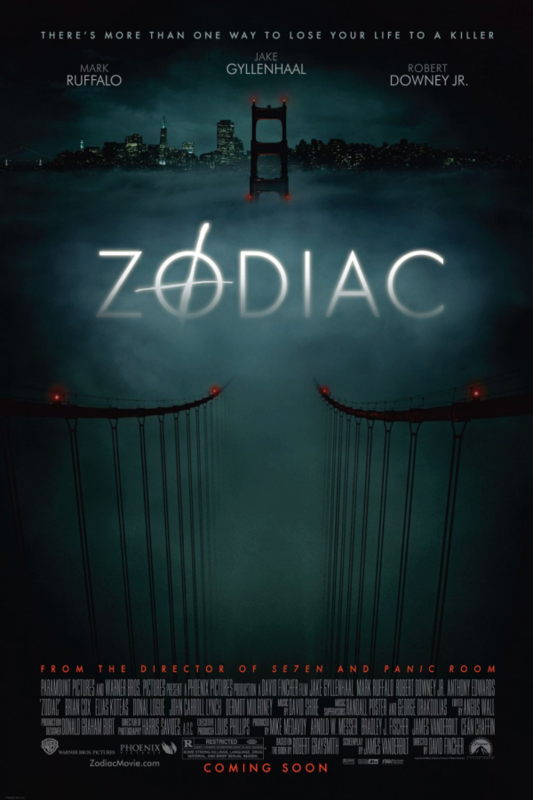 Zodiac font here refers to the font used in the poster of Zodiac, which is a 2007 American mystery thriller movie that tells the story of the manhunt for a notorious serial killer known as “Zodiac” who killed in and around the San Francisco Bay Area during the late 1960s and early 1970s. The font used for the movie title in the poster is Futura Light. First presented by the Bauer Type Foundry in 1928, Futura is a typeface loosely based on the simple forms of circle, triangle and square and it is commonly considered the major typeface development to come out of the Constructivist orientation of the Bauhaus movement in Germany. More details about it can be viewed here. In addition to Zodiac, Futura typeface is also used in the following logos, movie posters or album covers etc., including: Alabama Moon, Sniper Elite 4, Valentine’s Day, Beautiful Creatures, Mean Girls, Resistance Fall of Man, Disney Junior, Crush Orange, American Beauty, Modern Vampires of the City, So Far Gone (Drake), Scary Movie, Cluedo Logo, Native, Krispy Kreme Logo.